 2003 Infinity Foundation Graduate Fellowship for studies in Indian Philosophy, Infinity Foundation, Inc.
 Volunteer, Ewa Beach Weed and Seed, Boys and Girls Club of Hawaii & Honolulu Police Department, Hale Pono Ewa Beach & City and County of Honolulu. 2011. State Representative Matthew S. LoPresti, Ph.D. was elected in 2014 to represent House District 41 including Ewa, Ewa Beach, Ewa Gentry, Ewa Villages, Hoakalei & Ocean Pointe and currently serves as Vice-Chair of the House Transportation Committee, member of the Labor & Public Employment Committee, and member of the House Finance Committee. As a lawmaker he has focused on essential infrastructure for public schools and transportation systems, engaging his constituency on community matters, bringing ethics and transparency to government, promoting environmental conservation, and protecting personal freedoms. Representative LoPresti holds a Doctorate of Philosophy from the University of Hawaii at Manoa. He has been teaching philosophy since 1999 and is currently an Associate Professor at Hawaii Pacific University serving as Chair of the Asian Studies Program. He lives in Ewa with his wife Julia Avilla LoPresti and their two daughters. Dr. LoPresti had the pleasure to serve various philosophy programs around the world while a graduate student. Between 1999 and 2005 he had been invited to teach philosophy in India, Hawai'i, Ohio, and West Virginia - where he was awarded a Pre-Doctoral Fellowship to bring Buddhist Philosophy to one of the country's largest land-grant universities. In 2003 he was invited to serve as Lecturer of Buddhist Philosophy and Field Research Advisor for the Antioch Buddhist Studies Program in Bodh Gaya, India for American university students studying abroad. For the past 16 years Rep. LoPresti has served as a volunteer locally in numerous community organizations, including the Limu Project, painting over graffiti throughout 'Ewa Beach as a volunteer with HPD's Weed & Seed officers and kids from the Boys and Girls Club, serving as a judge for Hawai'i student Speech and Debate tournaments, and serving on the 'Ewa Neighborhood Board. He was elected twice to the Executive Committee of the Sierra Club, O'ahu Group twice and served as its Vice Chair. Rep. LoPresti has taken on entrepreneurial projects starting two businesses and co-founding an innovative renewable energy company to help our island community achieve energy independence through renewable resources and encouraging cradle-to-grave recycling efforts to reduce our waste stream. On March 8, 2016 the Hawaii State House of Representatives heard House Bill 2502 which "Prohibits the trafficking of protected animal species, with limited exceptions." 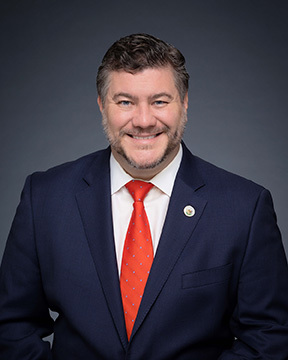 Representative LoPresti argued that the bill would help to preserve protected and endangered animals such as elephants by preventing the trafficking of their ivory for profit. The bill does not affect those who already possess antiques made from animals. The bill passed Third Reading. On March 8, 2016 the Hawaii State House of Representatives heard House Bill 2501 which "Allows for a holdover disposition of water rights previously authorized pursuant to a lease during the pendency of an application for a lease renewal." Representative LoPresti argued that it may deny certain farmers the ability to attain water rights for commercial agriculture in favor of other established holders of permits. We learned that the budget hearing for the $35 million new building at James Campbell High School will be held Wednesday, March 9th at 11 am in room 309 at the Capitol. We all know that we need to do everything we can to ensure a better educational future for Ewa students. By working together, we can make our collective voices heard here at the legislature, and make sure the House Finance Committee understands the dire need for the new building at JCHS. I need your help to make that happen. I am asking you to please encourage students, teachers, PTAs and communities to submit testimony in support of this new building being part of the budget bill. The impact that hundreds - or thousands - of personal letters from students and future students is immeasurable. The students who have been crammed into portables and overfull classrooms will no longer be a faceless statistic to lawmakers. Their letters will illustrate the consequences of past State inaction, and show that continued delay to expand and improve the largest school in the state will have an irrevocable adverse effect on Hawaii's future. I have attached instructions on how to submit testimony online [FIND ATTACHMENTS IN THE LINK ON THE LEFT SIDEBAR OF THIS PAGE], as well as my letter to students asking them to take a few minutes to help get the school that they deserve. Of course, anyone who is able to come down and testify in person will be welcomed and encouraged as well. We anticipate that the official hearing notice will be released a few days before March 9th, and it is only then that testimony could actually be submitted online. We will keep you updated as we learn more details. Also attached is my letter to students and their parents encouraging them to submit testimony, including facts that would be useful to mention in submitted testimony. Also attached are two pre-written form-letters (one for students and another for parents/teachers/community members) if you would like to use them. Please feel free to contact my office with any questions. I appreciate your help in passing these materials along to Ewa public schools. Sincerely, Matthew S. LoPresti, Ph.D.
On Saturday, January 9th, Representative LoPresti hosted the House leadership at Ewa Makai Middle School for the Lawmakers Listen panel. The event, which kicked off his pre-session listening campaign, brought the legislative leadership team to Ewa for the first time ever. Speaker of the House Joseph Souki, Vice-Speaker John Mizuno, Assistant Majority Leader Chris Lee, and Finance Chair Sylvia Luke were all on hand to field questions. Community members, including several Ewa Neighborhood Board members, asked lawmakers hard-hitting questions, with the discussion ranging from traffic to homelessness to affordable housing. One of the most discussed topics was education. Representative LoPresti was asked what he's accomplished for Ewa Public Schools in his first year in office. Finance Chair Luke credited him with securing nearly $8 million in funds for school improvements, including air conditioning at Ilima Intermediate, Ewa Elementary and Ewa Beach Elementary. He also highlighted his successful campaign to secure $20 million in funding from Governor Ige to be used for improvements at Ewa Makai Middle, Ilima Intermediate and James Campbell High. When asked more specifically about James Campbell High School, Representative LoPresti stated that he will continue to fight for Governor Ige's budget- which includes $35 million for the construction of a new, state of the art building at JCHS - and he will continue building momentum for a second high school in our area as well. Traffic was another topic that sparked much debate. Representative LoPresti was asked if new portions of Fort Weaver Road can be expanded; he discussed his efforts to re-stripe it to increase capacity without adding construction delays. Additionally, he is looking to keep traffic moving on Fort Weaver Road by exploring the possibility of eliminating the traffic light by the Child and Family Services building and installing a pedestrian bridge in its place. He has also proposed legislation to obtain funds for an intersection modification at Fort Weaver Road and Keaunui Drive. One constituent wanted to know how often he has had to drive home in rush hour traffic. Representative LoPresti answered that he does it nearly every day - except when he's working late at the Capitol - and shares his neighbors' feelings of frustration. To that end, he is working to expand the open hours of the westbound shoulder lane past 6pm and urging the Department of Transportation to add another eastbound lane on the H-1. Several constituents brought up issues with the bus system in Ewa, particularly with route 44. Even before he was elected to office, Representative LoPresti pushed for expanded bus services, and his efforts helped bring The Bus to Ocean Pointe. However, more expansion of services, especially along Kapolei Parkway, are needed and he is advocating for these expansions with our City Council members and the Mayor's office. After the Q & A, Representative LoPresti spent over an hour meeting on on one with dozens of constituents to discuss issues further. Teachers from various Ewa schools stayed after to encourage him to continue pressing for A/C in Ewa's schools, a goal that Representative LoPresti has been working on since his first day in office. Representative LoPresti's 2016 Constituent Survey was brought up as well. Over one hundred constituents have already sent theirs in. Representative LoPresti takes the advice of his constituents very seriously, and wants to ensure that their voices are heard in the State Capitol. The Representative encouraged his constituents to become more involved in the democratic process, and offered the services of his staff to help any citizen who requires assistance to become more engaged and effective in advocating for issues important to them. Last year he introduced a bill to ensure meeting notices be posted online as well as sent to anyone who requests them, and this year he is co-sponsoring legislation to enable remote testimony, making the legislative process more accessible to the public. Ewa residents should share any concerns with him or his staff via email or phone, at any time. The day was another great opportunity for constituents to make their voices heard, and Representative LoPresti is proud to have been a part of the inaugural Lawmakers Listen in Ewa. He looks forward to using the community input from the event to prepare for the upcoming legislative session. Honolulu, Hawaii - State Representative Matthew LoPresti (District 41 - Ewa, Ewa Beach, Ewa Gentry, Ewa Villages, Hoakalei & Ocean Pointe) is starting a community program to tackle the problem of high temperatures in our classrooms. The program, Cool Schools 4 Ewa, encourages local businesses to donate large fans or high capacity portable air conditioning units to schools in the Ewa area. The 'Cool Schools 4 Ewa' program is off to a strong start with an initial donation of 54 large fans, with six provided personally by Representative LoPresti and another 48 from an anonymous contributor. The cooling fans were purchased with a discount provided by City Mill. In addition to the program, Lowe's Home Improvement has already donated 35 fans directly to Campbell High School. Currently, many of the state's public school classrooms are not equipped with air conditioning or cooling equipment. Temperatures in Honolulu have risen considerably which has resulted in high temperatures in our classrooms. In the Ewa district-one of the hottest regions on Oahu-classroom air temperatures have reached in excess of 100 degrees. Four of the top five schools on the Department of Education air conditioning priority list are in Ewa Beach. Schools assisted by the program include Ewa Elementary, Ewa Beach Elementary, Holomua Elementary, Kaimiloa Elementary, Ilima Intermediate, and Campbell High School. "Countless concerns have been expressed by the community regarding the temperature of our classrooms," said LoPresti. "This is a significant problem that needs to be addressed, and I believe this program will engage our local businesses to step up and support the education of our children. With their help, we can create a comfortable and positive learning environment for our keiki." "As an educator and a father of two young children, this issue is near and dear to me. I gladly wanted to donate several units on my own and I hope to see more donations follow," added Representative LoPresti. "I also want to thank and truly express my gratitude to those who have already contributed to this worthy and much needed cause." Since taking office, LoPresti, a member of the House Education Committee, has worked to secure $8 million total in funds for air conditioning in Ewa Schools including Ilima Intermediate School, Ewa Beach Elementary School and Ewa Elementary School. He also successfully petitioned Governor Ige to release $2.3 million in funds for air conditioning upgrades at James Campbell High School. Businesses or individuals interested in donating can contact the Office of Representative LoPresti at 586-6080 for more information. Honolulu, Hawaii - State Representative Matthew LoPresti (District 41 - Ewa, Ewa Beach, Ewa Villages, Ewa Gentry, Ocean Pointe) was pleased to learn today that James Campbell High School will receive eight portables with built in air conditioning amounting to 15 classrooms for their campus to address heat and capacity issues. "I am pleased that these fully air-conditioned portable classrooms will be coming to Campbell High School towards the end of this year. I have heard constant concerns regarding overcrowding and classroom temperatures of over 100 degrees and this is becoming a serious health risk for students and teachers. This is a big step, but if we don't do even more soon, we will continue to put the health of students and teachers at risk," said LoPresti. Since taking office this year, over the past eight months, LoPresti, a member of the House Education Committee, worked tirelessly to secure $8 million total in funds for air conditioning in Ewa Schools including Ilima Intermediate School, Ewa Beach Elementary School and Ewa Elementary School. He petitioned Governor Ige to release, and he has released, $2.3 million in funds for air conditioning upgrades for James Campbell High School. LoPresti also pushed for $4 million for James Campbell High School to address the capacity crisis there, to design more classroom space, and this money was included in the last budget. "These 15 new classrooms killed two birds with one stone," said LoPresti. The portable classroom structures were originally used during the emergency lava evacuation for Keonepoko Elementary School. When it became clear these portables would not be needed, Representative LoPresti requested (May 6, 2015) that they be sent to James Campbell High School. "I am pleased at the quick turnaround from my request in May to getting a commitment for these 15 air conditioned classrooms just 3 months after," said LoPresti. A short floor speech given on March 10, 2015. His google map told him to drove home to Ewa from downtown via Kailua and Kaneohe!